Manufacturer of a wide range of products which include hopper elevator, z-shaped plastic bucket elevator, freight elevator and z shape swivel bucket elevator. We are one of the renowned manufacturers and suppliers of Hopper Elevator that have gained wide appreciation for operational excellence. These are available in various types such as inclined, angled and z-shaped. 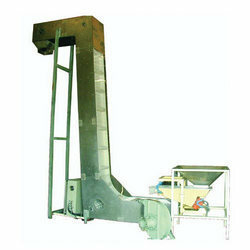 With maximum inclined height of 5 meters, these elevators find wide application in bulk handling in food industry. 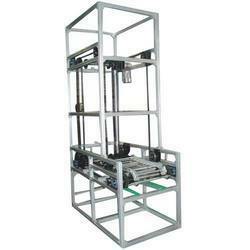 We are engaged in the manufacturing and supplying of modular Plastic Bucket Elevator in two types – straight, inclined angled or Z-shaped. Provided with food grade cleat belt with plastic bucket link, these elevators are suitable for bulk material handling applications in various industries. Our range is widely acclaimed for optimum performance and long service life. 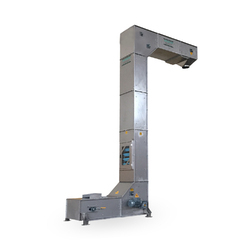 To meet the requirement of various industries, we offer quality range of Freight Elevator, that are extensively used for various materials handling applications. Designed with the assistance of our engineering excellence, these elevators have gained wide appreciation for perfect loading and unloading of bulk material. We also custom design elevators as per the client specific requirement. We offer a precision engineered range of Modular Swivel Bucket Elevator that are incorporated with the features of heavy loads accumulation and drainage or air flow. Constructed from best quality components, these elevators feature sturdy construction, optimum performance and long working life. 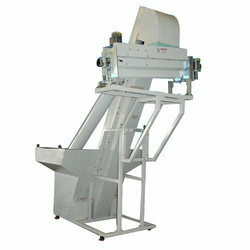 Further, we also customize these conveyors as per the specifications laid down by our clients. Looking for Modular Elevators ?